Food and travel writer, Sally Prosser, is a self-professed lover of good honest food. 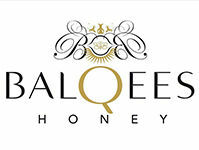 You will find her most weeks during the season at the Farmers Market in Dubai with a basket full of organic produce and sampling the many varieties of raw honey on offer at the Balqees stall. Originally from the South West of England with Polish roots, she has been based in the Middle East since 1995 where she and her husband raised a family and where she has immersed herself in the diverse food scene the UAE has to offer. We caught up with Sally to get her insights on honey, understanding the term 'raw' and what’s hot and what’s not in her kitchen at the moment. Like most people I suspect, I didn’t even know there was such a thing as raw honey until I discovered Balqees raw Yemeni Sidr honey. I thought all honey in a jar came straight from the hive. Since my eyes were opened, I now know this is far from the case and only raw honey comes directly from the bees without being tampered with. Most stuff you buy from the supermarket is little better than honey-flavoured syrup. The texture and taste of raw honey is totally different (as well as all the natural goodness in it which is quite extraordinary). Even very light, delicate raw honey which I’m used to in the UK, has viscosity like a thick thread of gold pouring from the spoon. The darker, richer honey, such as Sidr, is like a cross between a liquid and a solid; it collapses slowly onto your bread in an amber spiral and tastes amazing. I haven’t got a sweet tooth but find Sidr honey quite difficult to resist if I have a jar in the cupboard. It’s smooth and sticky in your mouth and lasts a long time as it gently melts with a burst of caramel-like flavours. It hasn’t got that slight blood-like aftertaste that some honey has; I eat it straight from the spoon now and again. A slice of homemade sourdough bread, a layer of good butter and a slather of raw honey is pretty hard to beat. I grew up in a village in Gloucestershire and our honey was mostly from a local beekeeper with hives on the edge of fields. Often it was thick, opaque, granular and almost solid which we just took for granted as it was still delicious. I now know that commercial processes used in treated honey stop this from happening and keep the honey liquid at the expense of taste and natural health benefits. An early memory is rescuing a bee from a paddling pool with my finger. I watched, horrified, as it stung me and then cried from the pain and because I knew it would die. My Grandmother, or Babcia, was Polish and we communicated in a sort of pigeon English. She drank very milky tea with a large spoonful of honey in it (as well as eating a raw clove of garlic every day). She’d offer me a mugful while rubbing the top of her chest saying ‘good, good’ to emphasise that it was healthy and was fit as a fiddle herself. We ate Pierniczki or Polish spiced honey biscuits at Christmas. I’m always on the lookout for local honey when I travel. Georgia is a favourite country to visit and when I went for a long weekend with my friends we started to climb up to the peak of a small mountain called Kazbegi. On the lower slopes, we passed a house with beehives in the garden and a lady beckoned to us to buy. We promised to get some on the way down but she was quite surprised when we did. Georgians are very proud of their honey and this was delicious. A mum of two grown-up daughters, how do they like their honey? Both my daughters are vegan, so their diets are strictly plant-based and they don’t use animal products or things tested on animals. Both will eat raw honey if they know the source and trust, like with Balqees, their beekeepers. Most vegans avoid honey particularly as the practices that commercial companies use and the damage done to the bees is absolutely horrendous. When they come home they usually cook for me and are both really excellent coming up with delicious, healthy meals. Raw honey is always in my store cupboard as it’s a natural way to add sweetness and goodness at the same time. I tend not to use it in cooked recipes too much as the heat starts to destroy the health-benefits although it still gives an amazing taste. It’s best to drizzle it on at the end like I do with my courgette loaf, warm from the oven. Just poke some small holes into the crust and paint it on. A baked pear or apple galette can be brushed with a golden glaze of raw honey as it comes out of the oven too. Just add custard to serve, obviously. If I’m making a cheese board for a gathering, raw honey is always part of it as it matches all sorts of cheese brilliantly. The lactic, tangy cheeses like goats cheese or sheep’s milk curd are obvious (with some soft fruit like raspberries), but salty, sweet, umami hard cheese like Parmesan, dipped in a little floral honey, is lovely to nibble on at the end of a meal. The demise of the bees is incredibly concerning so I campaign against the bee-destroying pesticides promoted by the huge chemical giants. Big honey producers put honeycombs through machines and kill most of the bees at the same time. Because of the need for pollinators in mono-crops, beehives are rented out and moved around the country in the US which cannot be healthy for bee colonies. There’s the unregulated use of antibiotics and sugar solutions used by many modern beekeepers too. The art, skill and harmony of traditional beekeeping where man worked in tandem with nature, with respect, has been relegated to a few small producers. We’ve become distanced from our food so we don’t know the real story about how it’s produced. If we all keep asking questions and voting with our spending habits by only supporting ethical and sustainable food production, we can make a difference. There is nothing better than eating simple food that’s beautifully grown or produced. A crisp apple, picked from the tree that morning that drips acidic juice as you bite through the firm skin is now a rare pleasure. Honey has become a commodity we take for granted but hopefully things will change to help the bees, their beautiful bounty, and our earth.